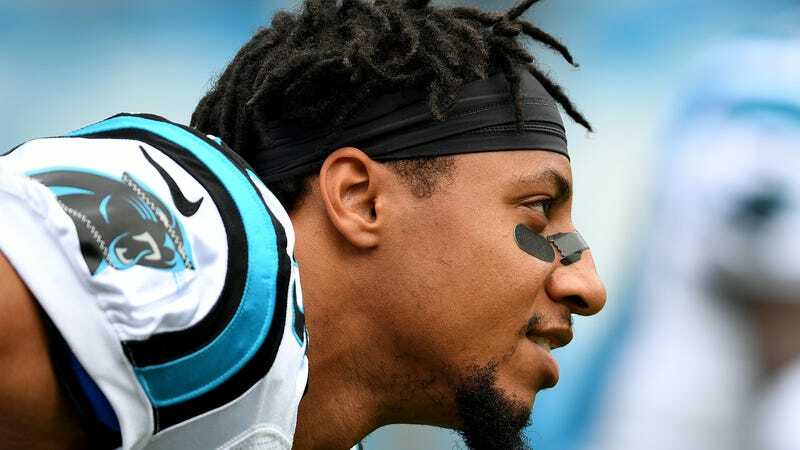 NFL independent arbitrator Shyam Das denied a grievance filed by the NFL Players Association on behalf of Eric Reid against the Cincinnati Bengals, who reportedly asked Reid if he would continue to kneel during the national anthem in the 2018-2019 season. Reid, who now plays for the Panthers, began kneeling during the anthem in the 2016 to support Colin Kaepernick, who began the silent protest against police brutality and racial injustice. The grievance was filed in May after Bengals owner Mike Brown met with then-free agent Reid, reportedly told him that he would prohibit kneeling during the anthem, and asked for Reid’s response. Das, however, ruled that “the Bengals were within their rights to ask whether Reid would continue to kneel,” per ESPN. In a statement, the NFLPA said it is disappointed in the ruling, but is “thrilled” Reid is playing and hopes Kaepernick will be signed by a team soon. Arbitrator Shyam Das issued a decision yesterday siding with management and denying Eric Reid’s claim against the Cincinnati Bengals. We are disappointed in this decision, especially since the arbitrator affirms the facts which our filing was based upon and provides no in-depth analysis of why management can engage in behavior that violates fair hiring practices. Despite this decision, we are thrilled that Eric Reid is back with an NFL club doing the job he loves and our hope is that Colin Kaepernick follows him back to the playing field soon. Both Reid and Kaepernick still have collusion grievances pending against the NFL. Kaepernick’s case has been sent to trial.